Well, it’s that time of the expansion cycle again. In less than a month Warlords of Draenor is going to drop and World of Warcraft will be officially in its fifth expansion. And as of Tuesday afternoon, the game has been optimized for the new 90-100 leveling content and between that and the new stat squish just about everything has been thrown off tilt. It’s pretty understandable, to be honest; the game has a lot of content to balance and not a lot of time or manpower to balance absolutely all of it, and low level content was already boringly under-tuned from the re-balances brought with the previous expansions, changes to content made with the release of Cataclysm and just overall buffing of low level player characters. But interestingly enough, this has the effect of making leveling content much, much more difficult again, but in some spots it’s become hilariously unbalanced in its difficulty. But it is refreshing to have gone into a level 73 dungeon as with my lowbie Resto Druid and have to actually work to keep the tank alive, much less the rest of the group. Although considering how the difficulty spike was likely completely unintentional, I wouldn’t get too used to it. However, with the new balance came a short questline, accompanied by a Feat of Strength, title and an exclusive battle pet. 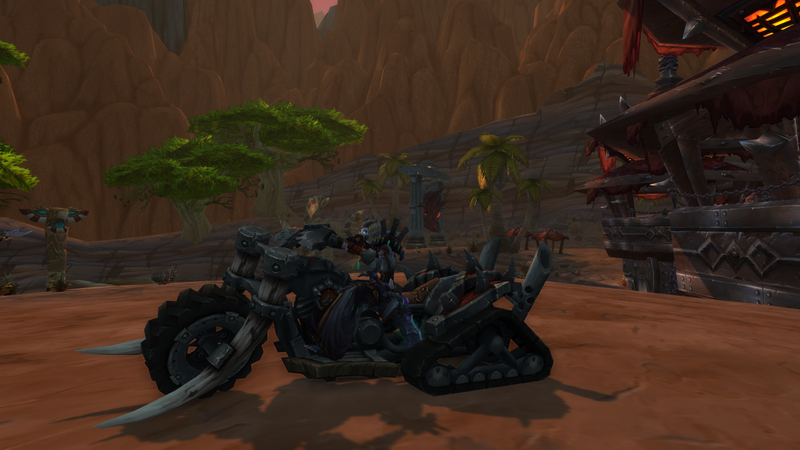 Horde players also get their very own chopper, based on the winning bike from Azeroth Choppers. The Alliance version will also be available from a vendor on Draenor but will cost 100k gold. Blizzard also changed how character boosts worked, and new characters now start in the Blasted Lands and must do the Iron Horde Invasion quests before they can receive their flying skill and most of the abilities. There’s another big change introduced in 6.0.2, and a very exciting one too. The new models will take a lot of getting used to and the barber shops now carry the option to have your character faces changed so it might require some tweaking in order to get your character looking just how you like them. But I’m pretty happy overall. 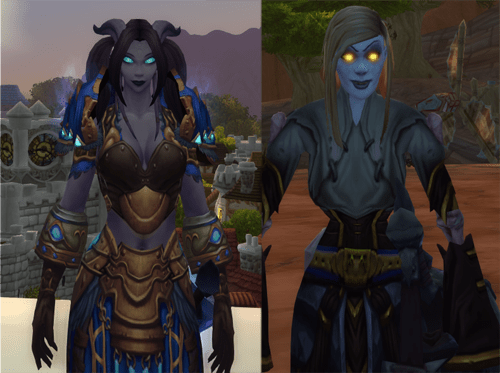 But yeah, there are a ton of issues with the current patch and a lot of the current and old content is now laughably unbalanced and there was a rather… unfortunate coding mistake made with some of the new models where the skintones of the old models converted to ones a shade lighter when the updates were made. They made some very disappointing changes to the graphics options though, but that gets its own post.